This film is part of the Jazz Sessions 2017: The Greats on Camera series. 2016. 92 m. Kasper Collin. Submarine. Sweden/US. English. Rated NR. Here’s what our special guest, trumpeter Terell Stafford, has to say about Lee Morgan in the liner notes to his album Brotherlee Love: “Lee was a total genius. The trumpet was merely a vehicle to express who he was. 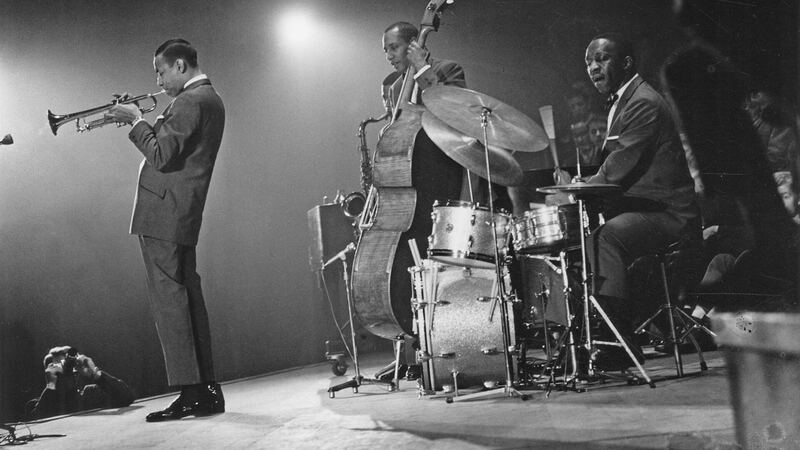 There was rasp, there was grit, there was personality, there was sass, exactly who he was as a person was inside of his sound and that’s what I loved about it.” Tonight’s film beautifully captures Morgan’s short, dramatic life and lasting impact on jazz. The Terell Stafford Quintet will channel his dynamic sound in a performance following the screening. Terell Stafford has been hailed as “one of the great players of our time” by piano legend McCoy Tyner. With a deep love of melody, he dances in and around the rich trumpet tradition of his predecessors while making his own inroads. Since the mid-1990’s, Stafford has performed with groups such as the Benny Golson Sextet, McCoy Tyner Sextet, Kenny Barron Quintet, Frank Wess Quintet, Jimmy Heath Quintet and Big Band, Jon Faddis Jazz Orchestra, Carnegie Hall Jazz Band, and Dizzy Gillespie All-Star Alumni Band. He performed with the Hamilton-Clayton Jazz Orchestra on Diana Krall’s Grammy-nominated From this Moment On, with the Clayton Brothers Quintet, and the Clayton-Hamilton Jazz Orchestra. He is a member of the Vanguard Jazz Orchestra, which was awarded a Grammy in 2009 for Best Large Ensemble for Live at the Village Vanguard. Stafford can be heard on over 130 albums including his latest, This Side of Strayhorn, dedicated to composer Billy Strayhorn, and Brotherlee Love, a “fearless, fresh tribute” (NPR) to Lee Morgan. 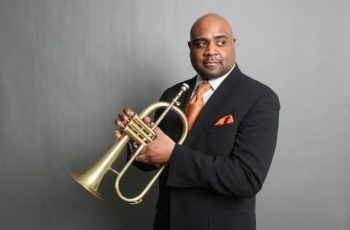 He is Director of Jazz Studies and Chair of Instrumental Studies at Temple University, founder and leader of the Terell Stafford Quintet, and Managing and Artistic Director of the Jazz Orchestra of Philadelphia.